Jolida is a company relatively well known among audiophiles for producing good sounding, high value tube amplifiers and digital components for use in home audio. According to the company's website, Jolida is a Chinese owned brand initiated in US. In 1992, the company started trading in vacuum tubes from the Shuguang factory in Changsha, which is now the biggest tube producer in the world. 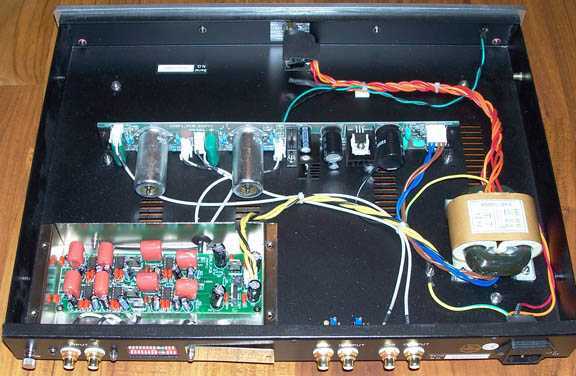 In 1993, the owner discovered Chinese companies building transformer which rivaled famous high end audio brands. The seed was planted and Jolida entered the market of affordable audio amplifiers made and designed in China. 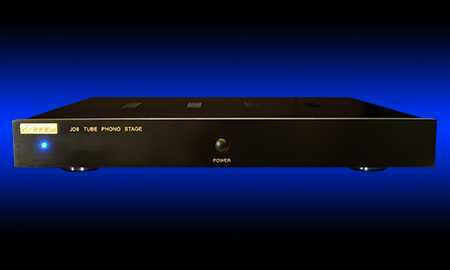 In 1996 Jolida introduced its first amp, the SJ 202, which sold under $1000 USD. Today Jolida has a full range of tube and hybrid amps, dacs, preamps, even a phono pre amp, the JD9, which is the subject of this review. The JD9 is slim, silver faced and sleek. Its look is minimalist with only one power button and one blue light to let you know it's on. Its compact, measuring 17”x13”x2” and weighs 10 pounds but build quality is high. It uses two 12AX7 tubes, which are relatively inexpensive and reliable. There are dim adjustments around back covered by a little door that is easy to access, and two levels of output so you can easily configure it into your system. It can be adjusted for MM or MC cartridges, has gold plated RCA jacks, rated sensitivity at 0.25mV - 95dB and adjustable gain settings to match virtually any cartridge you might want to mount on your arm. It is extremely flexible and well built, particularly given its price of $559 USD. My only complaint about the physical design of the unit is the blue power light, which is too bright. In a dark room, during late night listening sessions, it was like a laser beam so I put a small piece of blue tack over it to keep it from distracting while listening. Problem solved. 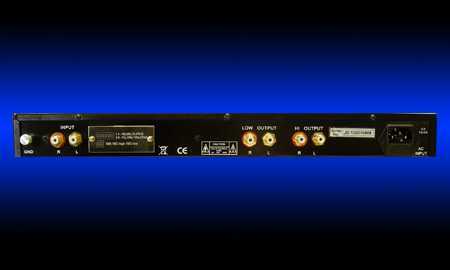 The frequency response is listed in the spec sheet as 5Hz to 110KHz (+/- 1dB). The signal to noise ratio is > 100dB, and total harmonic distortion is < 0.02%. The input/output impedance of 100K/600 ohms. My audio system consists of Musical Fidelity's excellent 3.2 integrated amplifier, with 105 watts per side it effortlessly drives my Usher X719 speakers. The Ushers are mounting on 24” high metal stands filled with kitty litter, which has dampening properties similar to sand but without the dust. My analog rig consists of an Origin Live Aurora turntable, Origin Live Silver Mk II arm with an Ortofon 2M Blue cartridge and Origin Live speed box. The MF 3.2 has a built-in phono stage which sounds okay, but I know my rig could sound better with a more sophisticated phono pre amp. When the JD9 arrived at my door step, I connected my turntable cables to the JD9's input jacks and ran it through the AUX input of my MF 3.2. I pushed the power button and the tubes inside started to glow but I let the unit warm up for an hour or so before listening. I selected Milo Greene, one of my new favorite LPs. This album is full of great music described as “cinematic pop.” It really paints a sonic portrait, and I recommend it to those not familiar with it. Soon after he needle dropped it was apparent the JD9 was superior in every way to the MF 3.2. Details emerged I was not able to hear before. On “What's The Matter?” the MF 3.2 made the backing vocals sound like one voice with echo. But the JD9 revealed the backing vocals to be separate and distinct voices. The Lumineers is another new favorite of mine. The track “Classy Girls” is full of ambient sound, as if it was recorded in a corner of a large crowded pub. Through the JD9 I could hear each instrument in its own space, and echo off the room's boundaries. This was barely noticeable through the MF 3.2. I was not used to hearing this effect in my home and was quite pleased my system was capable of such resolution. The JD9 is detailed, but not in an analytical way. It is not an analytical instrument that will highlight weakness in subpar recordings. Rather the JD9 casts subpar recordings in a manner that is musical and consistent with “typical” tube sound. It is slightly warm and forgiving. To my surprise bass improved through the JD9 when compared to the MF 3.2. I figured since the MF 3.2 is solid state and the Jolida is tubed, the MF 3.2 would have better low end control. However, when listening to Spoon's Gimme Fiction, I noticed bass guitar was more tuneful and detailed through the JD9. This album contains a great deal of low frequency energy, particularly on “My Mathematical Mind,” where its deep bass drives the song forward. I could follow each note played. The JD9 did an excellent job of communicating this low frequency information. The JD9 produces a sonic image which is focused and stable. Images extend to the edges of my Ushers and in back. An good example is the catchy song “I Turn My Camera On” also from Spoon's Gimme Fiction LP. As the song progresses instruments are added to the mix and the virtual soundstage expands to become larger and larger until it reached the outer edges of my speakers and back into the corners of my room. My parents were visiting one day, so I played them an old favorite, Ella and Louis Together Again, which never sounded so intimate. My parents commented the music sounded so clear; they couldn't get over I was playing an LP. This highlights another aspect of the JD9, it is quiet. I could detect no noticeable hum or rush, even with the volume control at nearly 75% of its range. The quietness heightens the clarity and detail. Right out of the box the Jolida JD9 was a big improvement over the MF 3.2's phono, but I read the JD9 responds well to tube rolling and other tweaks, so I thought I would give it a try to see how much better it could get. I purchased two cryo'd Mullard 12AX7 tubes to replace the stock Chinese tubes, a couple of Herbie's Halos to go around the new tubes to dampen micro vibrations, sound-deadening panels for underside of the trampoline-like metal cover, pods to place under the feet and a Shunyata Venom 3S power cord to feed it. First, I installed the cryo'd Mullards and had a listen. The Mullards were instantly recognizable as a better sounding tube than the stock Chinese ones. They transformed the sound of the JD9, raising its performance in every respect. Highs were particularly extended and airy. On Norah Jones' “Come Away with Me” each stroke of the brush on the snare drum can be heard. Cymbals shimmer and sound like…cymbals. Piano notes strike sharply and quickly fade away. Next, I placed the Halos around the Mullards, applied a self-adhering dampening sheet to the inside of the metal cover and connected the Shunyata power cord. Each added to the overall sonic illusion which started coming from my speakers. In the end the sonic image produced was not only focused and stable, but holographic. My speaker's utterly disappeared. Images now extended beyond the edges of my speakers and came forward of the speakers, into the room. I was so thrilled with the performance of the “hot-rod” version of JD9 I listened to records all day and into the night. The JD9 performs well on all types of music - large scale rock, acoustic guitar, female vocals, piano - you name it. The merits of the stock JD9 are many. 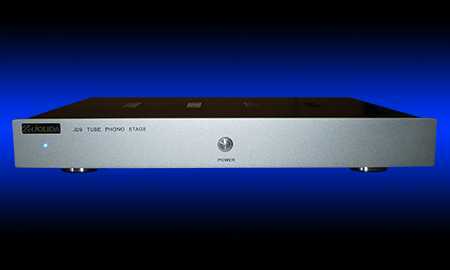 It is a doorway into high-end audio and gives the listener a true high-end audio experience for $559. When funds or interest permit, you can get some better tubes and a power cord because with just a little effort the stock JD9 can be significantly improved. The end result is a component which has the ability to recreate music which sounds natural, organic and involving. The JD9 is a component I whole heartedly recommend and plan to live with for years.